The loss of the town's only grocery store left Highland in need of finding a way to supply fresh produce to city residents. 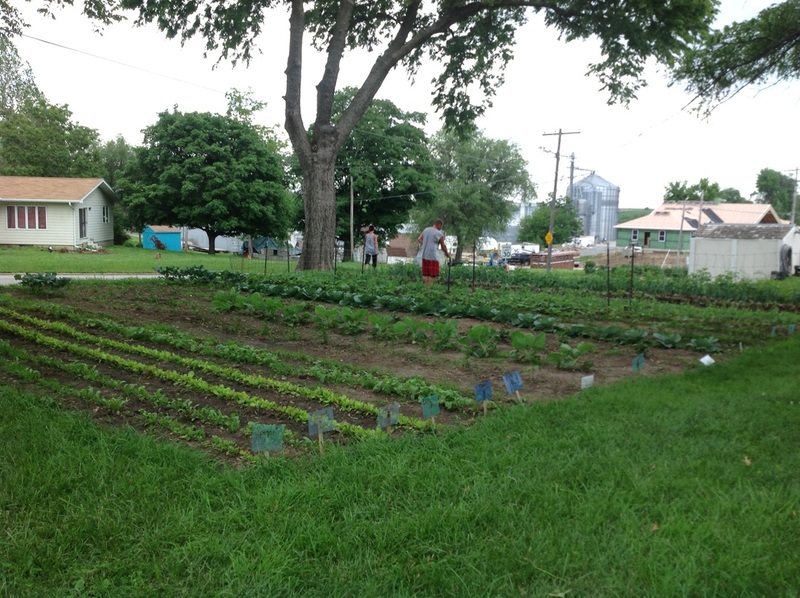 The community garden is a collaborative effort of PRIDE, FFA, 4-H, K-State Research & Extension and local citizens. The communal garden production goes to the local food pantry, a senior citizen's center and the public school district. Additional produce was sold at the Farmer's Market to help financially sustain the garden. FFA (Future Farmers of America) members grow most of the transplants for the garden. Grant funds were used to purchase a materials for a shed which was assembled the FFA chapter. Additional funds were used to purchase a tiller, tools, equipment and perennial berry plants.